If you are looking for a fully-featured solution designed to cover all RMA aspects, pay attention to the aheadWorks Magento 2 RMA extension. 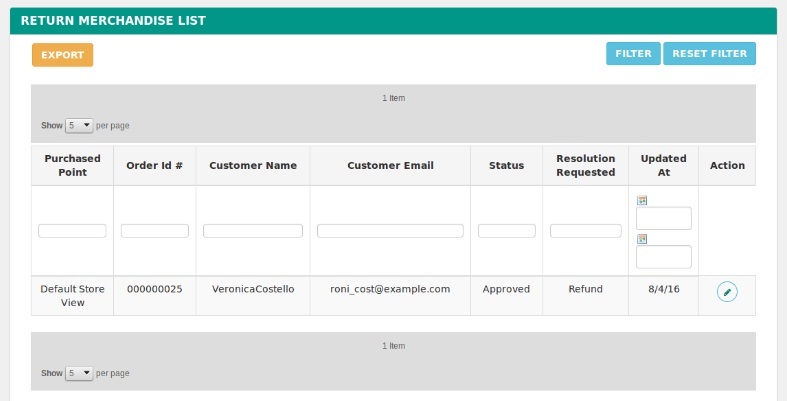 With the help of this RMA module, you will get an intuitive submission form for convenient RMA request creation. 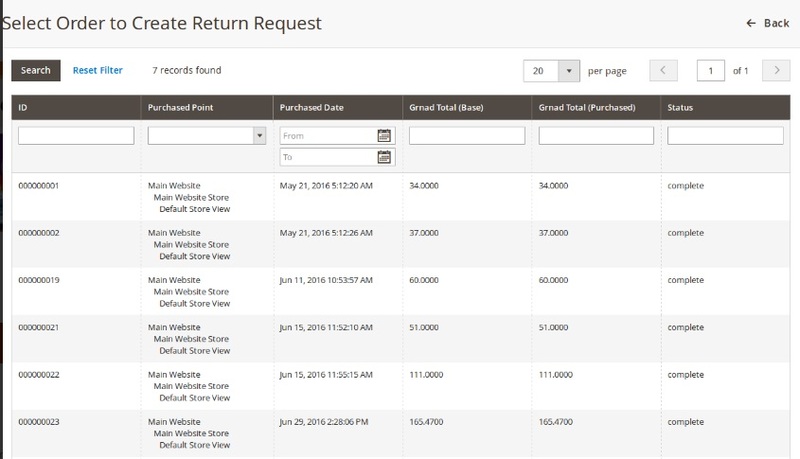 Furthermore, not only registered clients will get an opportunity to leverage your new RMA features – the plugin gully supports guest customers, who can freely create requests via a separate store page. Another essential aspect of aheadWorks’ tool is a user-friendly step by step RMA processing via backend . Two-way notifications for messages and status changes are also among strong points of this Magento 2 RMA module. 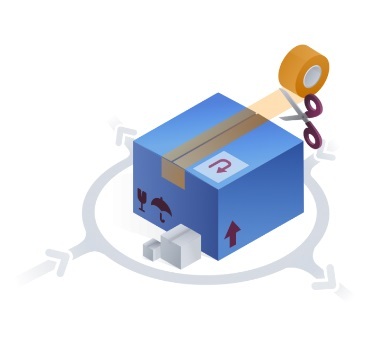 The same is about available settings, designed to adjust various workflow elements without headaches, so the module may be customized in a number of ways. 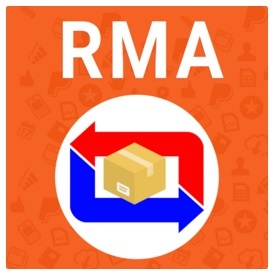 In case of request status, each RMA step is marked by a status change. 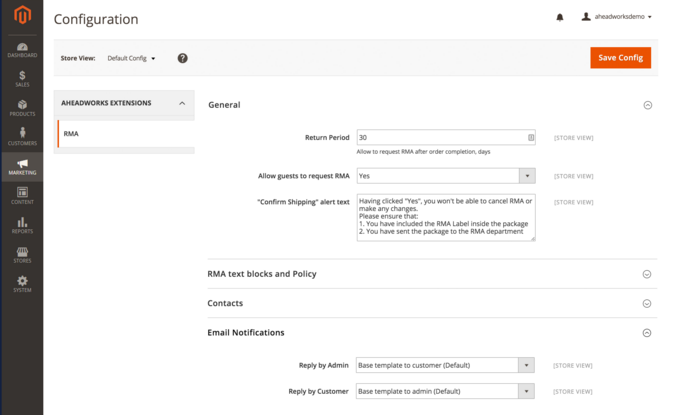 Besides, the Magento 2 RMA extension sends optional notifications to customers and admins. In case of custom fields, the module provides the ability to add custom fields to request creation form. Consequently, you can easily get business or product specific data. When talking about general settings, it is necessary to mention that the appropriate page covers such areas as guest requests, custom return period, CMS blocks for various request submission stages. 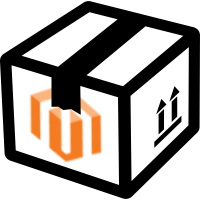 If you are looking for a flexible Magento 2 RMA module, you can also check the corresponding extension of Amasty. 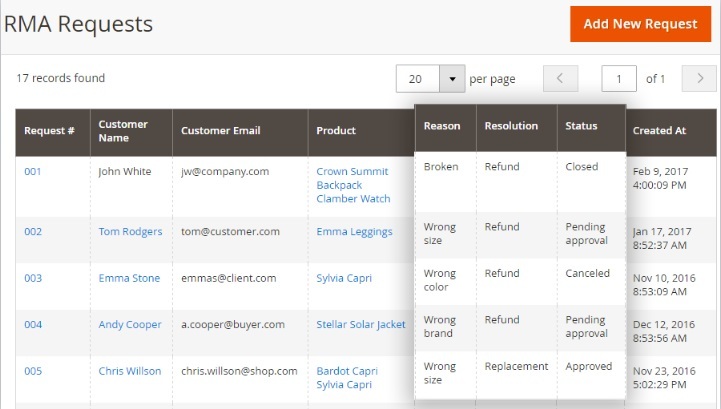 This Magento 2 RMA extension will help you manage all product exchanges and returns in a few clicks. 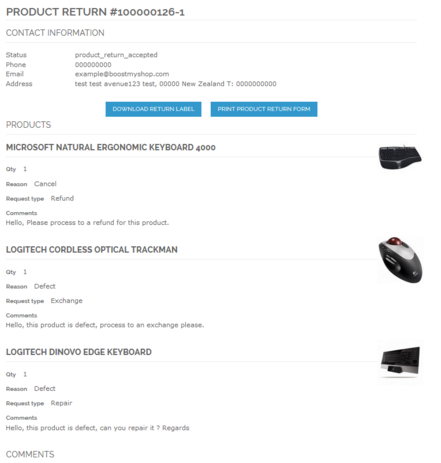 It allows you to create unique statuses, use RMA with all products, enable guest RMA requests, set up notifications for both customers and admins, and create RMA requests from the backend. 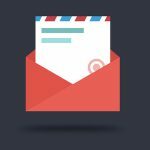 Besides, the Magento 2 RMA extension by Amasty supports anonymous requests, offers a flexible return policy -only unsuitable items can be shipped back, and provides the ability to communicate via email without logging in to a customer account. 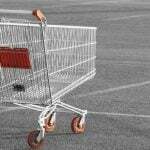 Besides, multiple store views and languages are supported. 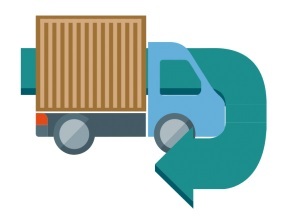 Mirasvit also offers a reliable solution for managing returns and goods exchanges. The company’s Magento 2 RMA extension will help you win the trust of your customers and build strong relationships with them. The module itself offers an intuitive interface, which provides your buyers with the ability to create their requests without any headaches. At the same time, you get the ability to create and manage backend requests via the appropriate administration interface. 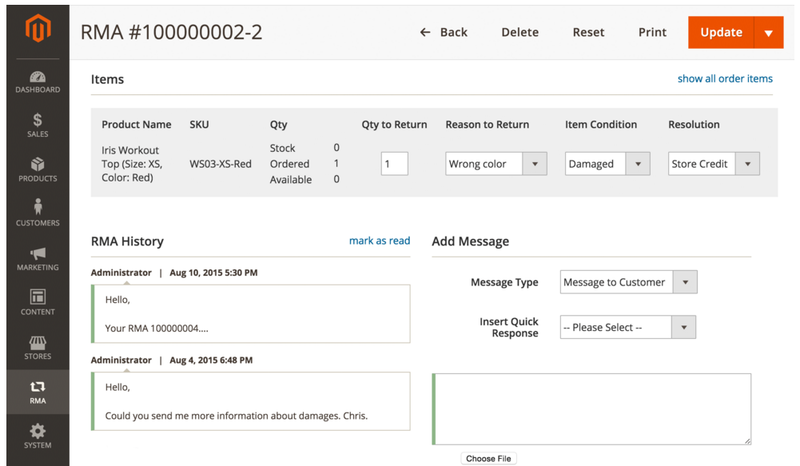 With Magento 2 RMA extension by Mirasvit, your customers get the ability to ask any questions related to their exchange/replacement orders – the module utilizes the email helpdesk feature for this purpose. The same is about guest users, so there is no need to login for watching an RMA inquiry. 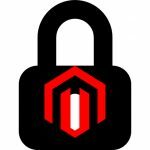 It is also necessary to mention that the Magento 2 RMA extension supports any number of items to be returned or exchanged instead of all purchased goods. 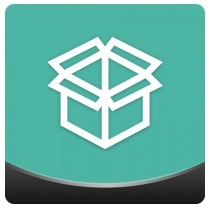 As for the refund option, it is available for your store customers, who can print shipping labels as well as confirm package sending right in the user interface. 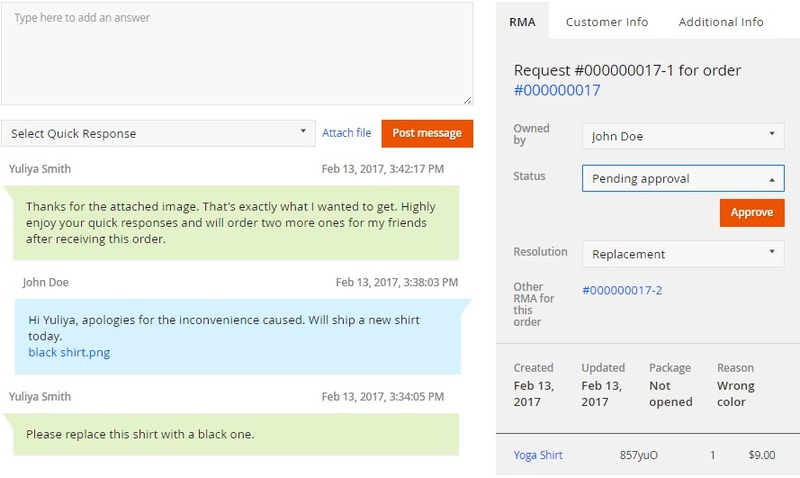 And if your customer suffer any difficulties while trying to create an RMA order, your administrators can easily help from the backend interface. Besides, they can customize messages to clients, use quick responses, and make own templates. 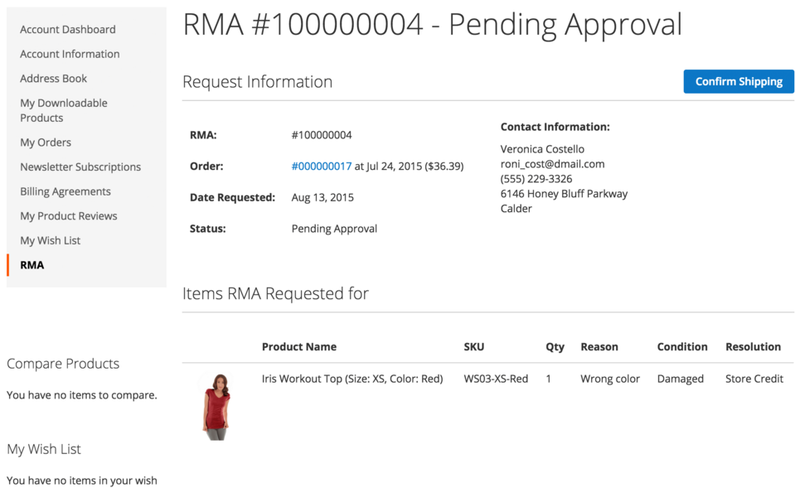 Adding custom fields to RMA orders is also possible with RMA for Magento 2 by Mirasvit. Last but not leas feature is an advanced reporting system, which offers data related to various products and brands and provides the ability to view requests statuses in bulk. 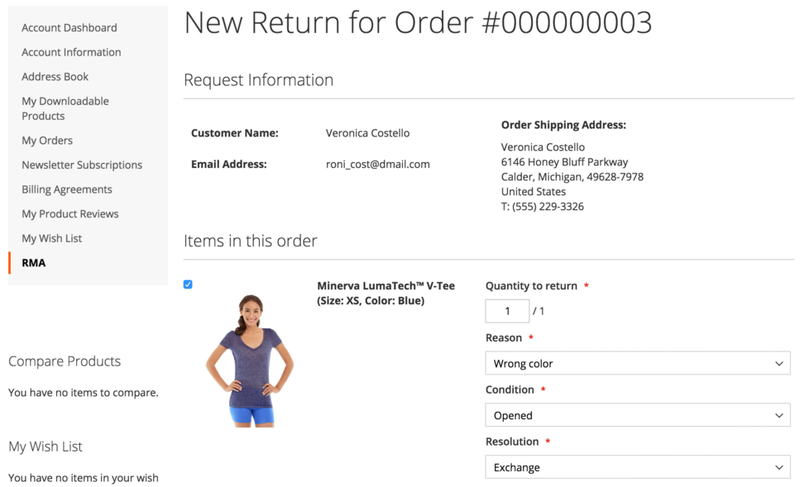 Your customer gets a refund and and sends a previously purchased item back to you. The returned product is exchanged with a similar item. The damaged good is prepared and shipped back to the customer. Vendor RMA Addon by CedCommerce also gives a second chance to meet the expectations of your unsatisfied customers. 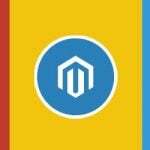 The Magento 2 RMA extension introduces product vise approach to RMA creation when a customer not only creates a request, but also complains regarding the problems faced with the product. Besides, this RMA Magento 2 extension offers an opportunity to create an RMA request for several items from a group of purchased products. Please note that the module is first of all aimed at multi-vendor marketplaces. As an administrator, you also get a lot of features. For instance, you can easily turn on or off the messaging system of email notifications or allow guests to create RMA requests. 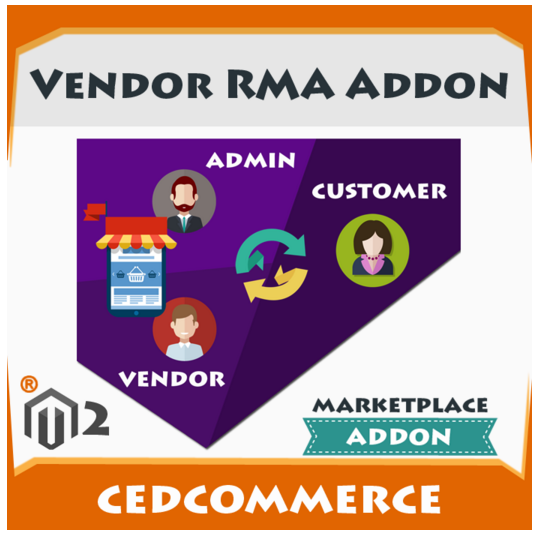 Vendor RMA Addon by CedCommerce has been designed with Magento 2 in mind, so it supports all design features of the platform, such as product listing or dynamic order selection. As for interactive self customized settings, they are available at a vendor panel. 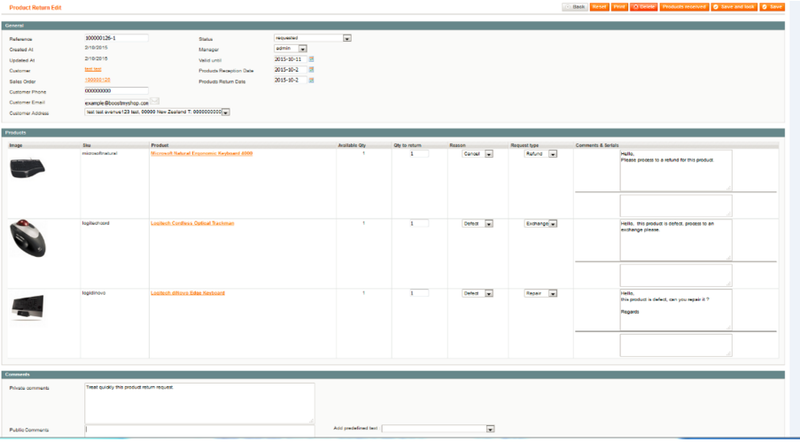 Besides, the Magento 2 RMA module supports various analytics features: RMA date filtering, Customer Filtering, etc. 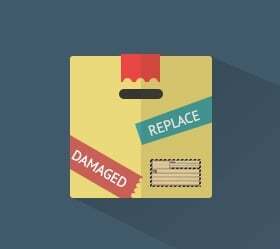 A super-admin can easily find out which vendor has handled the RMA request for what item as well as add RMA reason types, status types, and other conditions, while a vendor can select various statuses and options. 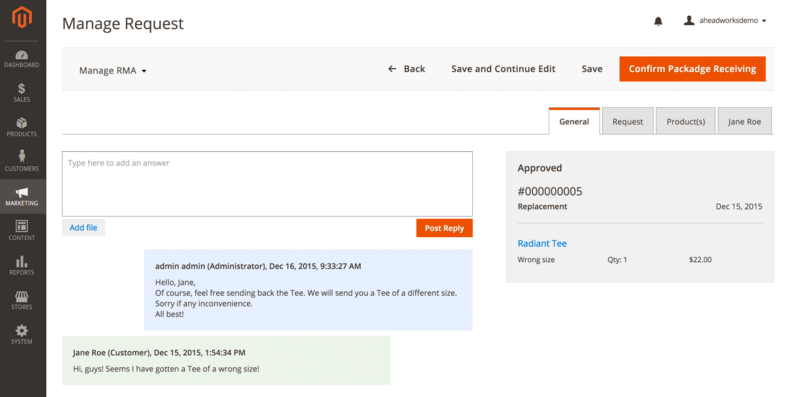 Another important admin feature is the ability to create a CMS page related to RMA requests.